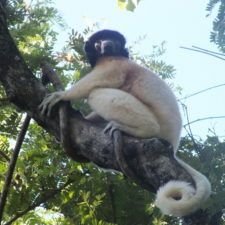 The capture of live lemurs was so under-quantified I could only find one paper that had explicitly studied it…given that lemurs are considered one of the most endangered vertebrates in the world and that we spend millions of dollars a year protecting them, I felt it was important to figure out some of these details regarding this threat. Kim Reuter joins us this week as our featured researcher. Kim studied Biology at Florida State University (Florida, USA) and is set to defend her doctoral dissertation in Biology at Temple University (Philadelphia, USA) in 2015. Kim’s work focuses on the bushmeat and pet lemur trade in Madagascar, as well as the socioeconomic drivers of natural resource use. She is a Research Fellow at Conservation International, the Director of Outreach & Content here at the Lemur Conservation Network, the Founder and former Executive Director of The Ladybug Project, and launched a new citizen science campaign in 2015 about pet lemurs. More information about Kim can be found on her website, www.kimreuter.com. Whenever people ask me why I originally started working in Madagascar, I don’t usually have a good answer except to say that I wanted to work somewhere warm. 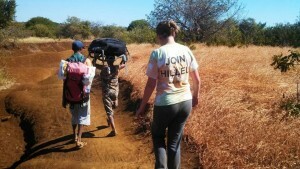 It would be a bit of a stretch to claim that I picked Madagascar because I was looking to address large conservation issues and I had no way of knowing that this choice would lead to 28-hour bus rides, living in remote villages, being accused of being a member of a satanic cult, and some genuine insight into pressing and important issues. 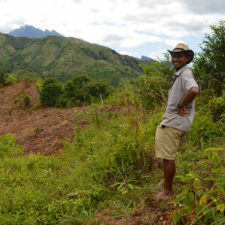 Prior to all of these experiences, and in 2012, I found myself managing a five-month research project as a doctoral researcher in Madagascar. The work was not difficult – in fact, my assistants and I spent most of our days (654.84 hours, to be exact) staring at trees, waiting for animals to eat fruit. And though this was not the most thrilling work in the world, the upside was that it really allowed me to think. 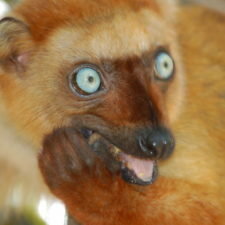 I thought about a lot of things: my life, my future, my role as a speck of dust in the universe…and eventually, I thought about the consumption of bushmeat and ownership of pet lemurs in Madagascar. The illegal and legal consumption of animals that are hunted in forests – also known as bushmeat – is a big problem in Madagascar, where the conflict between human needs and conservation is increasing. Most people in Madagascar live on less than $2 a day and, in poorer regions, cut down trees and hunt animals in order to make ends meet. However, 90% of the country’s forests have now been cut down, many of the country’s animals are endangered and could go extinct, and the political situation in Madagascar is often uncertain. In short, bushmeat is a problem that has political, ecological, and human rights dimensions. 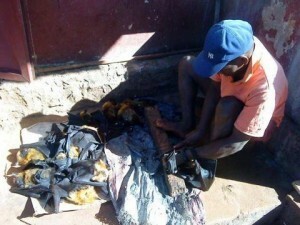 Bats being prepared at a restaurant for consumption. Surprisingly, we know relatively little about bushmeat in Madagascar (but see the great work that MAHERY is doing in eastern Madagascar). For a while, it was hardly addressed at all – perhaps because western biologists weren’t paying attention – but slowly, a few studies trickled out and somewhat elevated the issue. However, some questions were left unanswered: why are people eating bushmeat? Do they eat different types of bushmeat for different reasons? Is this problem escalating? Likewise, there was little acknowledgement that not all animal captures were done for the purpose of consumption and that some animals, like lemurs, might make pretty cute pets. In fact, the capture of live lemurs was so under-quantified I could only find one paper that had explicitly studied this…and that paper was only looking at a small population of lemurs in the Comoros. Given that lemurs are considered one of the most endangered vertebrates in the world and that we spend millions of dollars a year protecting them, I felt it was important to figure out some of these details. So, in 2013, two assistants and I arrived in Madagascar with three-months and a goal of interviewing 1500 people across 22 towns to better understand bushmeat consumption and pet lemur ownership. Arriving in new cities, we never quite knew what to expect though most of the time, communities welcomed us warmly. For example, when visiting one village, we showed up unannounced, starving, and dehydrated after having hiked for about nine hours across 25 kilometers of savanna grasslands. We could barely put one foot in front of the other from exhaustion, but the community immediately welcomed us and although they were sometimes a bit too curious (following us to the river when we needed to bathe, for example), we felt accepted. In some places, we were first female Americans and British women to visit in memorable history. 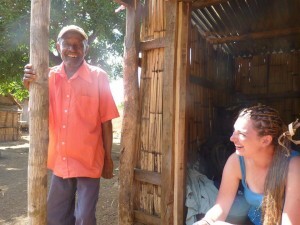 Kim meeting with a village elder in a rural village while doing research. Kim working at night in a rural village on generator power. 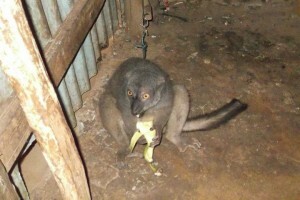 A captive “pet” lemur in Madagascar. Sometimes, though, our work was a bit more difficult and really highlighted how even basic work can become difficult in a foreign context. In one small city, a rumor spread almost immediately upon our team’s arrival that we were members of a satanic cult coming to purchase and/or steal human organs. While this might sound ridiculous, the cultural context and the unusual nature of our interviews meant that this sort of miscommunication was bound to happen. In the end, the president of the city actually paraded through the streets with a megaphone loudly announcing our intentions and the residents soon warmed up to our presence. Of course, undertaking this work means that we go without many luxuries. While it’s normal for international and field researchers to go without most basic amenities, some of our experiences were more unique. For example, my research team always traveled using local transport, which in one case meant traveling 620 miles by bus. 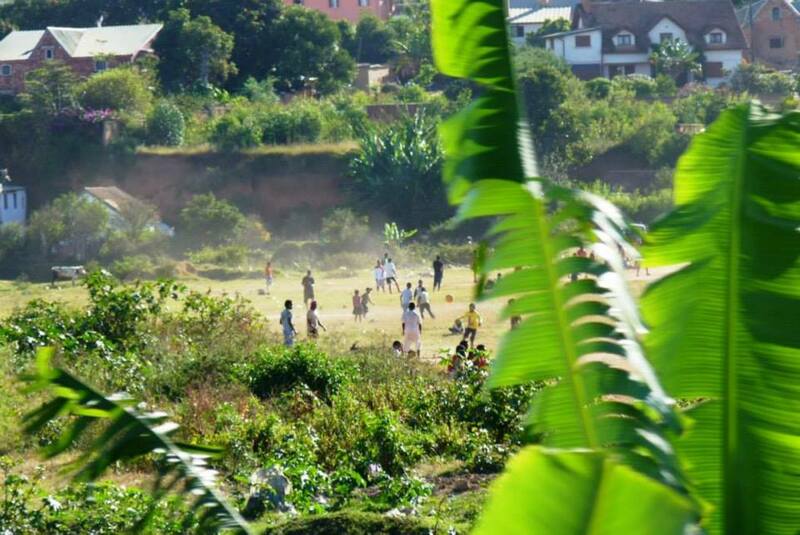 That distance might not sound so bad, but – this being Madagascar – we were squeezed into a bus that probably wouldn’t pass safety regulations in at least half the western world, three children threw up on themselves and other passengers, and the engine stalled out on most hills. In total, we traveled at an average speed of about 22 miles per hour, and it took 28 hours and some of my sanity to complete the trip. In the end, though, this experience was absolutely worth it – not just for me personally, but also because we now have the ability to address questions that have been so far mostly unanswered. Quantifying behaviors that are either illegal or aren’t believed to exist, is difficult but not impossible. Based on our dataset of almost 2000 interviews, we found – among other things – no clear evidence that the frequency of consumption of bushmeat in general has changed in recent years, though the types of animals that people are consuming does seem to be shifting. In addition, we have some really great data about why people eat bushmeat; the results actually contradict some of the general assumptions that have been made about this issue in Madagascar. 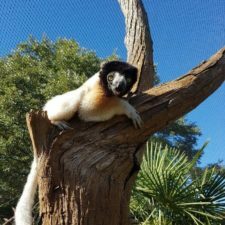 In addition, we found that the ownership of pet lemurs is far more prevalent than previously thought – estimating that over 28,000 lemurs have been kept in captivity between 2010 and mid-2013 – and provides an excellent example of how difficult it is for researchers (many of which are western) to accurately assess behaviors in a non-western developing country.